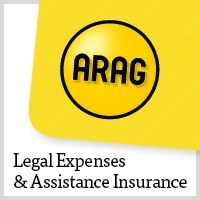 ARAG Legal Services has retained both the Legal Expenses Team of the Year and the Managing General Agents Team of the Year awards at this years’ Underwriting Service Awards, held at the Royal Garden Hotel in Kensington yesterday evening (16 November). It is the fifth year in succession that the legal expenses and assistance provider has been voted the service leader in the Legal Expenses category, which is awarded after a study of empirical data gathered from a large number of UK broking professionals. ARAG has also achieved a unique “three-peat” in the MGA Team of the Year category, having picked up the award in both 2015 and 2016. The category was previously decided from a similar survey of broker opinions but this year was awarded by a panel of independent industry experts judging submissions made by each company. Now in their seventh year, the Underwriting Service Awards are organised by the publishers of Insurance Post, which has been providing news to the UK insurance industry since 1840, and its sister title Insurance Age.